Copyright Notice: © 2018 Viacom International Inc. All Rights Reserved. Nickelodeon, Nick Jr., Go, Diego, Go! and all related titles, logos and characters, are trademarks of Viacom International Inc. These are the official Go, Diego, Go! licensed characters, Go, Diego, Go!. With Go Diego Go characters, kids can meet the hero of this popular Dora the Explorer spinoff. Because Diego is known through his TV show and the live shows as being a friend to animals, this makes an actor in a Go Diego Go costume a particularly popular choice for petting farms, fundraisers, or any other events with small children and animals in attendance. 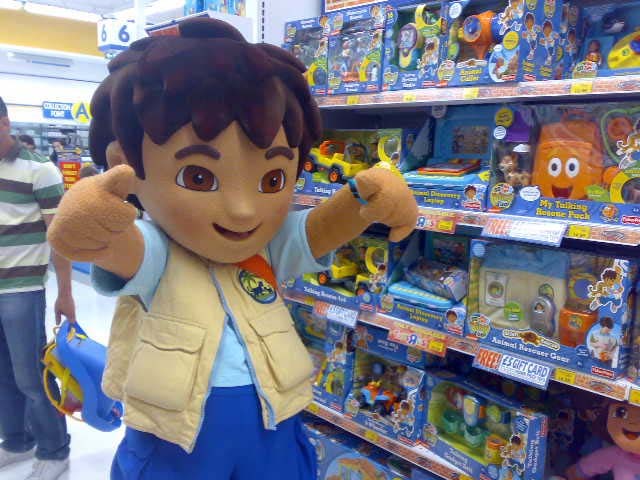 As we provide officially licensed costumes and trained performers, you can be sure that when you hire a Go Diego Go costume, you will be hiring the most professional and authentic talent for your next public event. Why choose our Go Diego Go characters? Diego may no longer be making any new seasons, but children can still keep up with his capers on home DVD media. We make sure that when you book someone to attend your event in a Go Diego Go costume that you are getting someone passionate about embodying the character to provide a realistic experience for young fans. We take pride in ensuring your event goes smoothly wherever our mascots and characters are involved, which is why with every booking, your chosen character will be accompanied by a handler who will make sure they are never seen out of costume and that they remain in character at all times during fan interactions. Kids will love having pictures taken with Diego, and you as an event organiser can feel completely confident that little guests will treasure the experience. 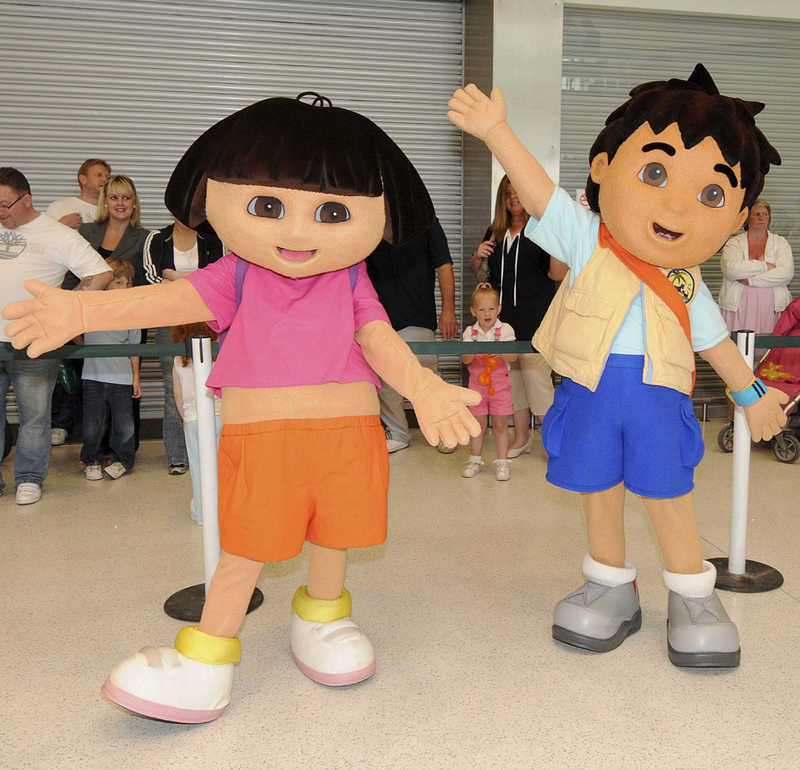 Hire a Go Diego Go costume today Our costumes are available for hire all over the UK, making it easy for you to source professional, reliable performers. To find out more, contact the Rainbow Productions team today. Rainbow Productions holds the UK’s official licence to manage the personal appearances of Go Diego character at public events on behalf of the brand owner. CHARACTER PROFILE FOR Go, Diego, Go! Go, Diego, Go! features the lovable Diego, the 8 year old cousin of Dora from the hit Nickelodeon show Dora the Explorer. Diego is kind, energetic and passionate about learning. Diego is set on rescuing animals and protecting the many environments he visits around the world in pursuit of his goal. With the aid of gadgets and a great group of friends, Diego is always ready to save the day. Your child can learn about science, nature and problem solving as they travel around the world with Diego and his friends. ADDITIONAL BRAND INFORMATION FOR GO, DIEGO, GO! Go, Diego, Go! is a spin-off from Dora the Explorer. Go, Diego, Go! relies on play-along viewing and interaction while introducing kids to Spanish words, encouraging movement, incorporating songs, and teaching kids to overcome challenges. Diego also models important attributes for young children, such as a love of learning, a respect for the environment, and a desire to help others.